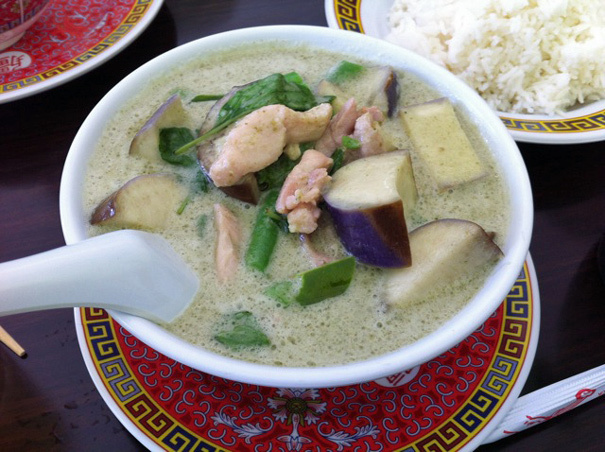 A funny thing about L.A.: you can drive past a place over and over again, not think anything of it, and then–out of the blue–have a food friend tell you to meet them there on a Thursday afternoon, at which point you discover that this place you’ve been driving past and ignoring has really excellent food. 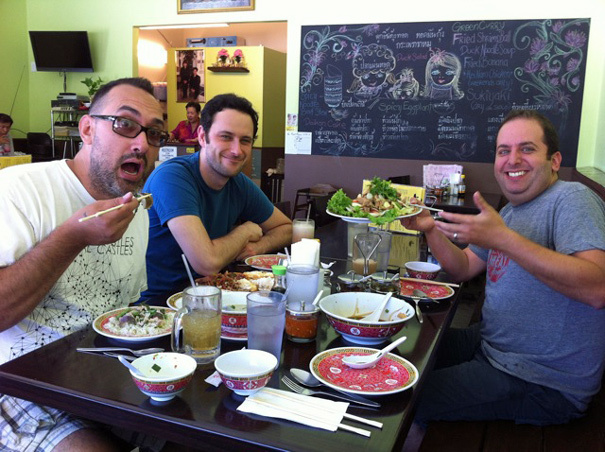 Such was the case with Rodded and my friend Zach Brooks of Midtown Lunch. I met him and Noah (who gave me that great Katz’s Deli advice) and Zach’s “Food is the New Rock” co-host Chuck P for lunch there last week. 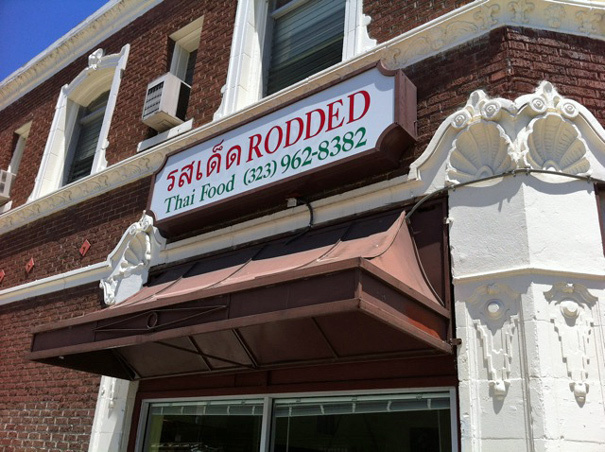 Honestly, I know Rodded best as the restaurant next to the shipping place where I shipped my corrected cookbook manuscript back to my editor several months ago. Who knew that inside there’d be such good food? 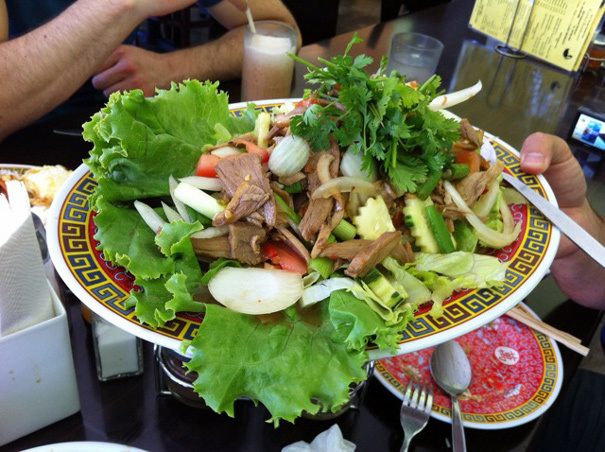 The duck was sweet and succulent and meaty and tender and really nicely balanced with the bright, vinegary dressing on the salad. 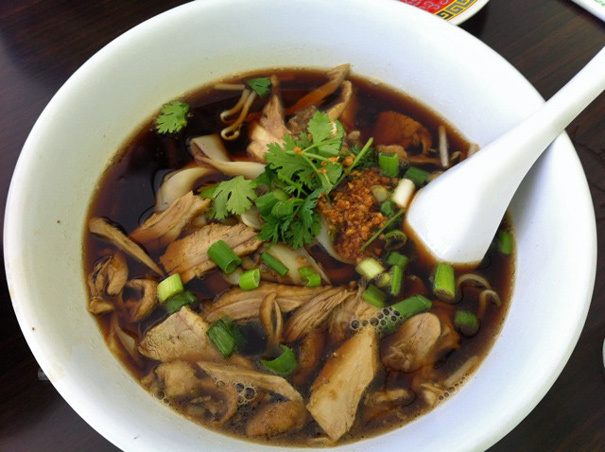 That broth was something else. Salty and sweet and studded with big pieces of duck and herbs and other good things, if I ever go to Rodded by myself, I’ll be eating this. 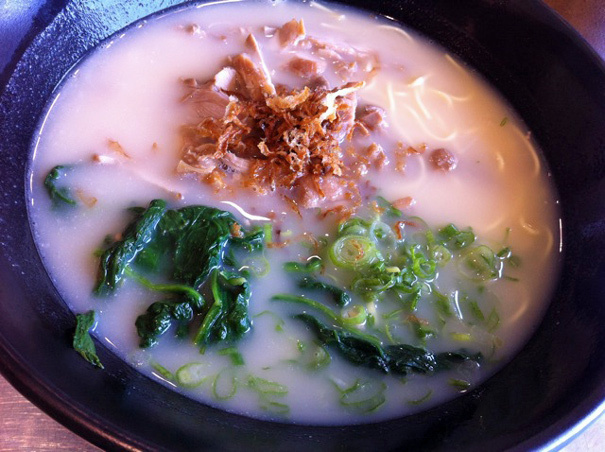 It’s a perfect summer soup because it’s light and refreshing but also filling. 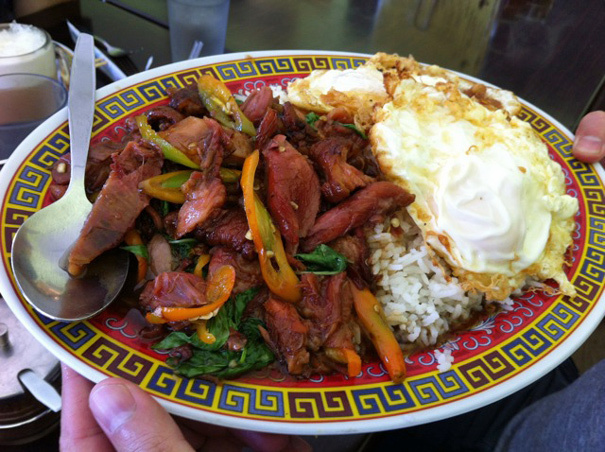 The pork was fall-apart tender and those chiles packed serious punch. Even without eating one directly, I broke out in a sweat from everything those chiles came in contact with. So watch out! That’s all for Rodded. Thanks Zach for inviting me along! 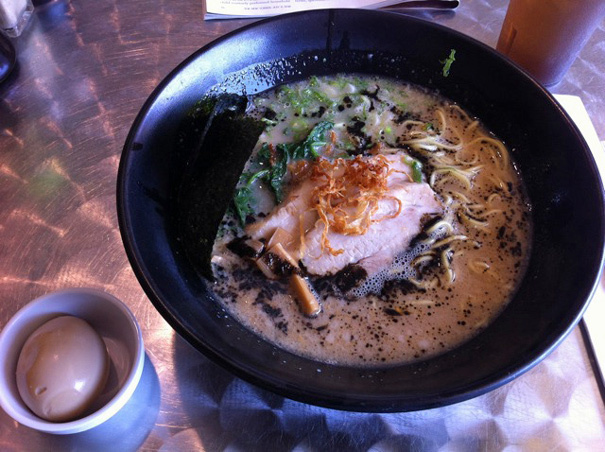 A few weeks earlier, I caught a summertime cold and craved ramen. I wanted to try something different from Roboto Jinya which, quite ridiculously, I’d been patronizing exclusively for my ramen needs. That’d be like going to New York to see a Broadway show and then seeing the same show over and over again. 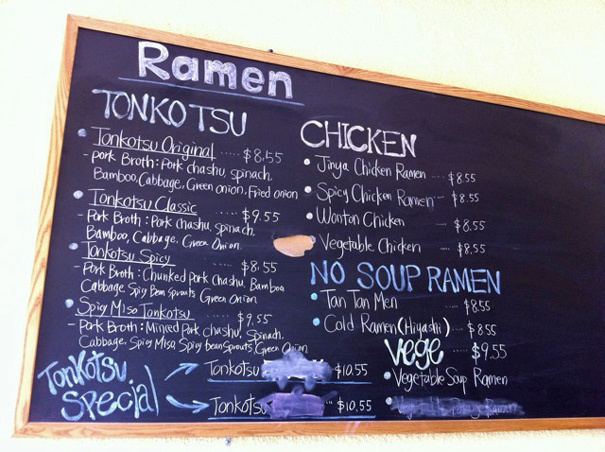 L.A. is famous for its ramen! So this time, I used my cold as an opportunity to branch outwards. 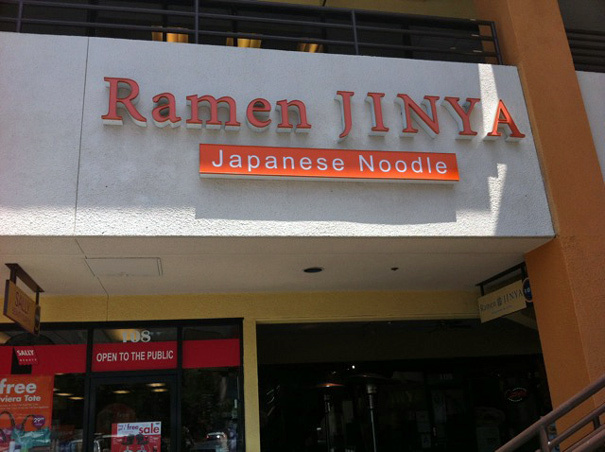 I decided to hit up Ramen Jinya on Ventura Blvd in the San Fernando Valley. The most notable thing about Ramen Jinya’s location is that it’s next to a Marshall’s. 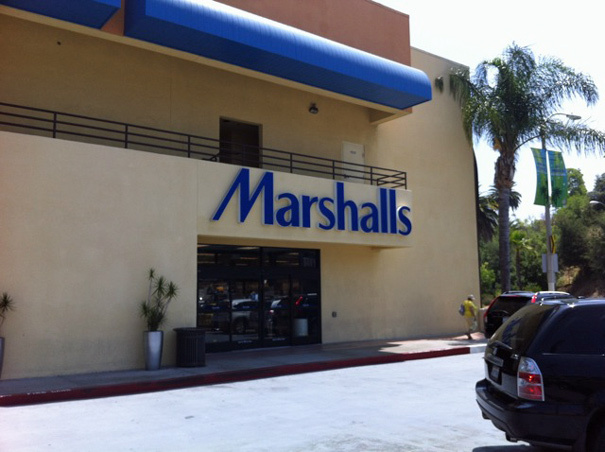 The best part is if you do need underwear–and I’m not saying you do, but you might–you can go next door to Marshall’s when you’re done and buy some. Lunch and underwear shopping all in one location? I’m proud of this discovery.